Adorable illustrations and subtle colours provide the perfect finish to the elegently designed Tiny Tatty Teddy cot bed and is the perfect option for parents searching for a stylish and practical piece to furnish little one’s first room. 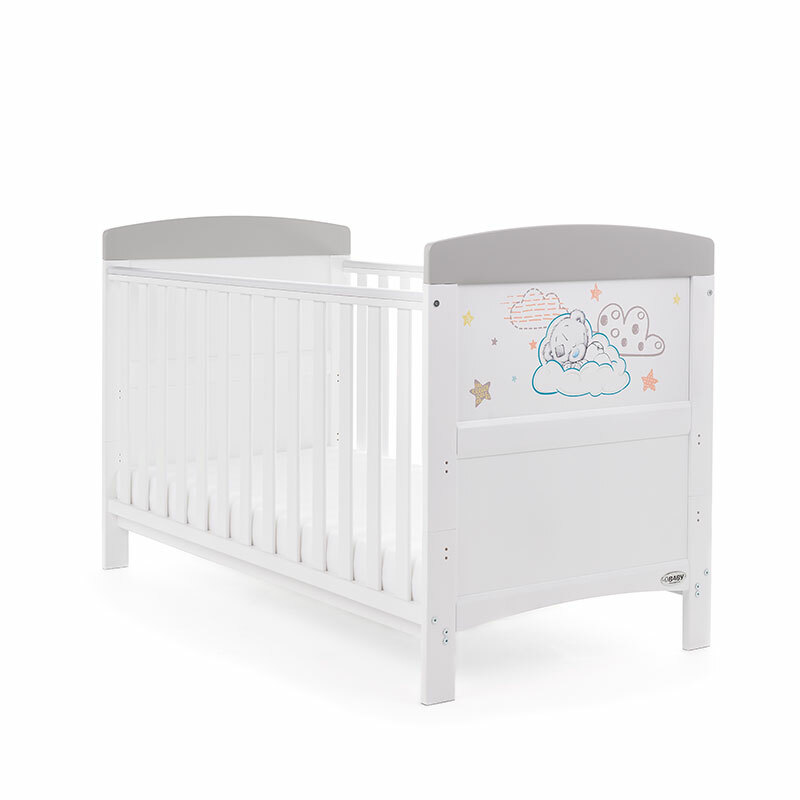 The open slatted sides are perfect for watching over your little treasure during their most peaceful times and the presence of teething rails ensures your child’s delicate teeth are protected. Striking the perfect balance between modern and classic designs this Tiny Tatty Teddy cot bed is available in a range of designs ensuring it will fit perfectly in any nursery and co-ordinates perfectly with the rest of the Obaby furniture range.